Though running an animal foster program is not easy, the results can greatly improve the lives of the pets in your shelter. From increased attention to the freeing up of shelter space, a foster program’s benefits outweigh its drawbacks. Below, we have detailed the three best reasons for instituting a foster care program at your shelter. 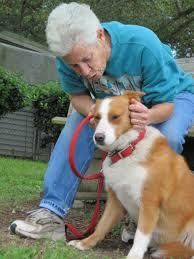 Comfort—Dog foster parents have the space and time to provide one-on-one interaction with the animal. Furthermore, they will likely have the resources necessary to make the dog comfortable during his time in foster care; rather than sleeping on communal pads in a crate, he will have his own bed and the ability to roam freely through a home. Space—Implementing a foster program helps more than the individual dog—it can do great things for your shelter. Instituting a foster program will create space in your shelter for more dogs. Moreover, depending on the structure of your foster program, the system may help alleviate budgetary issues; the forst parent may be responsible for providing food and pet care, eliminating a portion of your spending. Personality—Meeting a dog in a shelter cannot compare to meeting the same dog in a foster home. In a more comfortable home setting, an animal will feel relaxed; the personality will begin to shine through. When housed in a shelter, this personality may not be apparent to potential forever homes; the dogs must vie for attention, acknowledgment, and—in the worst cases—resources, meaning that parts of their personalities will be either over- or understated. A shy dog may become shyer, and an aggressive dog may become violent. Meeting the animal in a calmer setting will allow the parent and dog to better understand each other. I started a foster program at my shelter around a year ago and it has made ALL the difference. This article mentions everything I’ve experienced, but I’ve also been able to cut costs. Really great idea if you want to help animals.